In Wakanda a man is murdered. In New York Storm accompanies Cyclops to find the morlocks and have them come to utopia. She gets a call from Wakanda and has to depart. In Wakanda Nezno is accused of murder. Storm realizes something is wrong and has him freed. 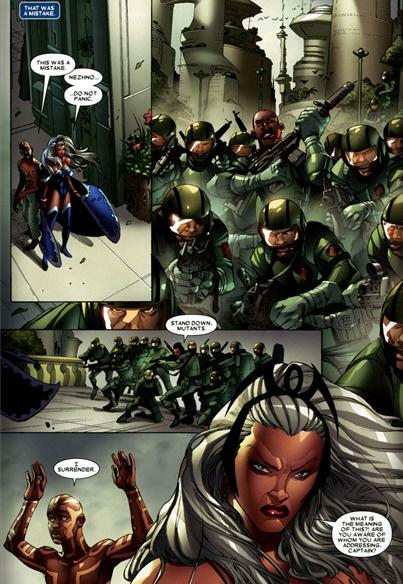 She’s then attacked by the Wakandan army under orders of T’challa. By the time she realizes that something is wrong the Shadowking pulls her into the astral plane. Continuity- I love how Chris Yost in this single issue Ties together more than twenty years worth of Storm continuity. We open with a scene of Storm and Scott in a sewer. The same sewer where Storm had fought Callisto years ago for leadership of the morlocks, Storm is immediately confronted by memories of her failure as leader resulting in the morlock massacre and the near extinction of their race. We also get a nod to the rivalry of Scott and Storm referencing their fight brought on by Storm challenging Scott for leadership since he had to choose between being a father and being an x-man ( see Uncanny x-men #201 for details). Scott now poses the question to Storm that she can’t be both wife/queen and x-man there will come a time when she must choose one or the other. 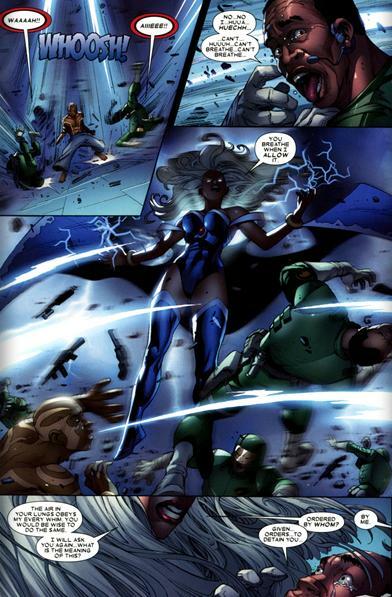 I also loved how Storm instinctively thought of her last encounter with the shadow king involving Psylocke. Love it! Art- Gorgeous pencils and inks and the dynamic colors really give this book a wow factor. Characterization- Another key problem with storm around the time this came out and even as of this hitting the web is the terrible characterization she has been forced to endure. Here Yost evokes the Storm of Claremont. She’s beautiful, powerful and strong but has emotions very close to the edge when it comes to her friends and loved ones. I also loved the use of her powers in this issue. Choking the army by controlling the air was genius! The doubts that Storm has are echoed sentiments of fans as a whole and I thought how Yost executes this was perfect, will the marriage work? 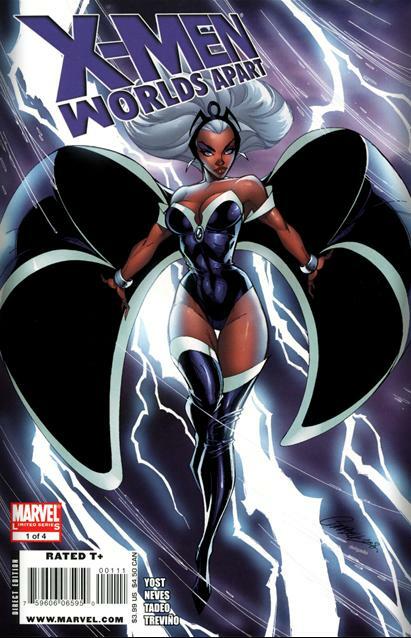 Can storm be both queen and x-man? Will the marriage work? Are they truly in love? Story- Nezno was always touted as being a member of storm’s x-men squad but considering we never saw that squad in action white academy-x/new x-men was on stands it was nice to at least see it referenced. The xenophobia of Wakanda is at the center of the story. It’s understandable and executed well it also ties back into the story established in the x-men books about Nezno. The murder and possession of both T’challa and Nezno were executed well as shadow king exposed the fragile heart of Storm as only he can. What is the Hatut Zeraze doing with T’challa? They were exiled years ago and never even mentioned during the Reginald Hudlin Black Panther run which is where this story would fit in if we’re going to talk about continuity and symmetry. T’challa– It was a bad move to use a witch doctor as one of T’challa’s advisers…..it’s well established T’challa was against magic in all forms until his defeat at the hands of Doom forced him to use it (See Black Panther: deadliest of the species for details).